I fought the Cold War, I trained weekly with four UK wide Nuclear attack exercises per year. I was an N.C.O. with the Royal Observer Corps and we were ready to man the posts in the event of a nuclear attack. The R.O.C. was stood down in 1991 as the threat from the Soviet Union was deemed to have receded. Today, the UK has NO defence .against a nuclear attack, NO way of measuring fallout levels. NO way to monitor radiation levels or warn of new threats. No way to determine airburst ot groundburst. Unfortunately, the fact that August 9, 1945 was the last time a nuclear bomb was used in war doesn’t mean that the likelihood of a nuclear bomb detonating and killing tens of thousands or even millions of people is anywhere near zero. Various experts estimate the chances of a nuclear detonation in the next 10 years at somewhere between 10 and 30 percent. William Perry lists a series of factors that he says mean the chance of a ‘calamity’ is higher today than in the 1970s and 80s. Today our nuclear weapons are run, controlled and targeted by computers and that means that there is opportunity for things to go wrong. NORTH Korea has vowed to go to war if provoked and has blamed the US and has claimed the two opposing nations were “on the brink of war”. This dictator could simply launch an ICBM with no warning at all. Nuclear and radiation accidents and incidents have happened and will continue to happen. Imagine terrorists getting hold of radioactive material to make a dirty bomb? Nuclear Terrorism: How Big a Threat? 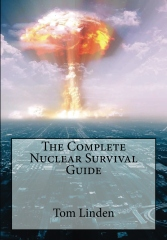 Buy my Complete Nuclear Survival Guide and learn to survive everything from a nuclear accident to a dirty bomb to a nuclear attack. Handheld radiation detectors tell you what you can’t see, smell or taste, but what could make you horribly sick and at the moment their sales have skyrocketed for that exact reason. Radiation is an invisible component that has huge detrimental effects on the human body and unless you have something to detect it, you are practically blind to its levels and won’t notice anything it is too late. The nuclear threat is higher now than ever as superpower countries compete, flex and test their nuclear weapons. And in one pocket of the world is the radical North Korea taunting much larger countries to enter into a nuclear fight. But now the market is turning towards the likely possibility of your first steps outside the front door of your make-do shelter to look at how you might test the radiation of the air, the ground and water after a possible nuclear strike or nuclear reactor leak after a blackout. Before we look into what radiation detectors do and how they work, we should look at why they are important. To answer something like this, we first need to look at how much radiation is involved. Radiation isn’t just a one-hit kill type of matter, we are exposed to low levels of radiation every single day, how much of it determines whether we are affected or not. In looking at harmful levels of radiation, there are two different types of exposure: acute and chronic. Acute exposure is where a dose of radiation is received all at once, this would be something like an X-Ray or a CT scan you might have done for health reasons, think of it as a once-off sudden impact of a packet of radiation. The other type is chronic exposure, this is a level of exposure of a long period of time. This would be where a nuclear attack has happened and you are walking around post-fallout without protective equipment being exposed to consistent strong levels of radiation. This has occurred in the past in places such as Chernobyl, Hiroshima and Fukushima. If you consider radiation exposure like water, you can either have a huge bucket thrown at you all at once, or you can have a bucket’s worth of rain on you at at a slow pour. In both circumstances, you are going to get very wet, but when it comes to radiation, those effects can differ from the bucket to the rain. Both are obviously bad for your health, so with this in mind, when the nuclear bomb was designed it included both to be a quick-effect as well as a long-lasting weapon. For a person who experiences a nuclear explosion they will receive two doses, one from the initial blast and the second from the fallout as the particles sit on the ground post-explosion. This is why nuclear weapons are dangerous missiles and not something to take lightly. For acute exposures of radiation, the lowest count of exposure (25-50 rem or rads) will see a drop in white blood cell counts. And the skin goes red like a sunburn. Anything more and there is a 50% chance of dying within 30 days. When it comes to chronic exposure, where people are subjected to repeated doses of high radiation counts over time, there are long-term effects over time. For a nuclear bomb to hit a city, the blast would be anywhere from 5-10 miles with a strength of 500 rads. That means most people in that vicinity would suffer death from the blast, or the fallout. For those that are caught in the fallout, a highly recommended medication is potassium iodide (iOSAT) to limit the body’s absorption of radiation particles. You can see why there’s a need to detect radiation. Without something like a radiation detector we are essentially guessing what the radiation value is until someone gets incredibly sick, then we know we are in trouble. This is essentially a human canary in a coal mine. Using the right protective equipment against radiation is paramount, but to know when that equipment is needed, or not, is also essential. How do radiation detectors work? Radiation detectors have built-in ionizing radiation detectors that use gas molecules that ionise with radiation particles setting off electrons in a reaction known as a Geiger Discharge. This is why most radiation detectors are also referred to as Geiger Counters. For most handheld radiation detectors, their best and most accurate detection is in confined spaces, topsoil and objects that may have radiation contamination. What about the effect of an electromagnetic pulse against radiation detectors? This is a common concern that I personally have had a lot of questions about, especially with the backup effect that can be posed by a nuclear bomb’s EMP to shut down electrical processes with a very large area. These solutions would ensure any radiation detectors are still able to work after a nuclear attack. Handheld radiation detectors available on the market today are very easy to use, this is also one of the reasons why they are being widely purchased at the moment as a simple-to-use device to detect a terribly harmful material. The alert timing of these instruments varies from 5 – 20 seconds depending upon the radiation count and the capacity of the radiation detector you decide to use. For most radiation detectors, 20 seconds provides a highly accurate result as to the level of radiation the detector encounters. Choosing the right radiation detectors are important when looking at this equipment as this is something you don’t want failing or giving inaccurate readings. To know how to choose the best radiation detector is simple, they need to have a certification by a country that has put these items under real test conditions. For the US, this would be an NRC certification. However, some of the big selling radiation detectors have also been certified in Japan and Germany. There are two types of nuclear weapons, and they make use of the strong nuclear force by either splitting very large atoms apart (nuclear fission in an atomic bomb) or by squeezing very small atoms together (nuclear fusion in a hydrogen bomb, a.k.a. thermonuclear bomb). Both processes release vast amounts of energy. Our sun and most stars are nothing but massive fusion reactors. To build a nuclear weapon you need to find nuclear fuel. And very few types of atoms are both the right size and abundant enough to make a nuclear weapon. It’s either uranium or plutonium for fission bombs, or a mixture of deuterium and tritium (both of them rare forms of hydrogen) for nuclear fusion. To collect weapons-grade uranium is not easy. You need a concentrated ("enriched") lump of the less stable form, uranium-235, which is only about 1% of naturally occurring uranium. (The other 99%, uranium-238, doesn’t work for an atom bomb because it doesn’t split apart easily enough). Separating these two forms, or isotopes—which are identical in almost every way but differ slightly in weight—is hard, and takes a lot of energy. The plant that enriched uranium for the first atomic bomb covered more than 40 acres (16 ha) of land, with 100 miles (161 km) of piping, and thousands of heaters and compressors to turn the metallic uranium into a gas so the isotopes could be separated. The problem with tritium an isotope of hydrogen is even greater. There is nearly no naturally occurring tritium, so it has to be synthesized. This is done in specially designed reactors, which aren’t easy to build and generate tiny amounts of tritium at a time. So most countries fail to find enough nuclear fuel to make a bomb. Iran, for instance, struggled to generate enough enriched uranium-235 to get started. And, in the nuclear deal it signed in 2015, Iran had to send to Russia whatever low-enriched uranium it had. With enough fuel, you can make a very basic nuclear bomb. What you need is to create conditions that can start a nuclear chain reaction. In a fission weapon, when one atom of uranium-235, for instance, splits apart, it releases two neutrons. If each neutron hits another atom of uranium-235, those too will split, each releasing another two neutrons, and so on. This happens only if there’s enough uranium-235 in one place—the critical mass—for each neutron to have a high chance of hitting another atom. Once you’ve made enough uranium-235, though, creating critical mass is relatively easy. You start out with two smaller lumps of uranium and, when it’s time to set the bomb off, bang them together at high speed. Fusion weapons are more complex. Nuclear fusion requires conditions that exist inside the sun: extremely high temperature and pressure, millions of times of what we have on Earth. And the nuclear fuel needs to be held under those conditions for long enough to kickstart fusion. Although technical details remain secret, one way to create these sun-like conditions is to first have a nuclear fission explosion. In other words, you need to make an atom bomb that then sets off a hydrogen bomb. But the payoff can be thousands of times more destructive than an atom bomb. The biggest hydrogen bomb ever tested, Tsar Bomba (1961), was more than 3,000 times bigger than the atomic bomb that was used in Hiroshima. When it was tested in a remote part of Russia, it was predicted that anyone within 100km of the blast would have suffered third-degree burns from the radiation released. After the test, it was observed that the blast wave broke window panes 900kn away. So if the explosion had occurred in Berlin, it would have broken windows in London. But there is little point in having a Tsar Bomba-sized hydrogen bomb today. The atomic bomb dropped on Hiroshima in August 1945 weighed 4,400kg (9,700 lb) and Tsar Bomba weighed 27,000kg. These types of bombs can only be moved in specially designed bomber planes. With today’s anti-aircraft technology, such planes would be brought down before the nuclear weapon could be deployed. So today, if nuclear weapons are to reach the target intended, they need to be small enough to be put on a missile. This makes the design of new nuclear weapons more difficult. India has claimed to have tested a thermonuclear device, but the claims remain contested. According to Bhupendra Jasani, a nuclear physicist at King’s College London, instead of working on hydrogen bombs, countries like India and Pakistan are probably working on "boosted" atomic bombs. A boosted weapon is one that packs more punch by using a higher proportion of its own nuclear fuel; although the Hiroshima bomb caused so much destruction, it used merely 1.4% of the uranium put in it. One way to do this is to put some fusion fuel at the core of an atomic bomb. This mixture of deuterium and tritium is compressed to create a fusion reaction. This produces more neutrons, which then enhance the chain reaction of the fission fuel. In other words, you use an atom bomb to set off a tiny hydrogen bomb which in turn ratchets up the atom bomb. I therefore suggest that North Korea’s claimed "hydrogen bomb" was really an attempt to test a boosted atomic bomb. The seismometer readings suggest that the bomb North Korea tested was in the rang of what atomic bombs can yield rather than what hydrogen bomb can yield. Basically all Jong-un wants is to inflate his own ego and tell his people that he is doing all he can to protect them from vicious forces outside. Even though I think he may not have an H-bomb, the fact that North Korea has conducted four nuclear weapons tests since 2006 should be a cause for worry. You will learn what to do if a nuclear attack happens. I was an N.C.O. instructor with the Royal Observer Corps for 12 years specialising in the Effects of Nuclear Weapons. I was given exemption from the entry exam due to my level of experience and became a member of the Institute of Civil defence giving me the appellation M.I.C.D. I remained a member between 1987 and 1992. I was for 4 years a North Yorkshire County Council Community Defence Adviser and helped to provide the countries first ever emergency survey of a town to provide an action plan for that community, that town was Harrogate. I also ran my own survival school in North Yorkshire in the 80’s as well as a survival club for local kids. I suspect that there are many of you who would wish to be able to protect their families should our enemies decide to explode a 'dirty bomb' on British soil for example. 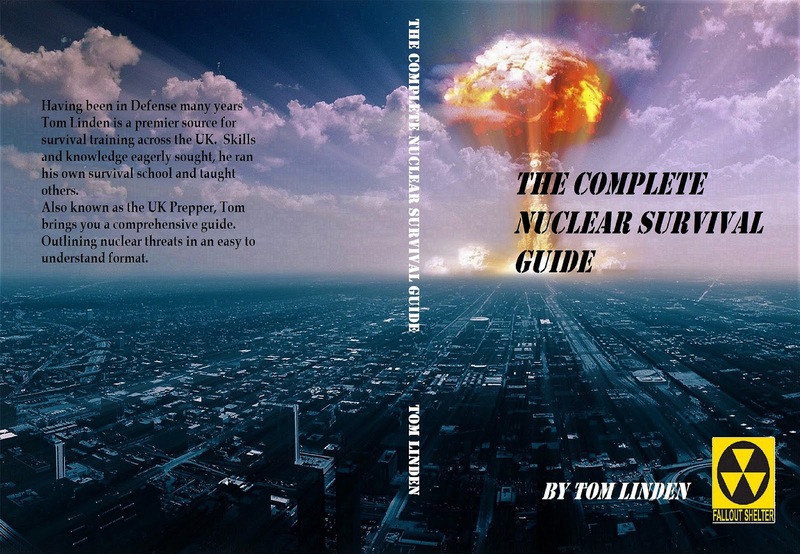 We would I believe be extremely foolish to discount the potential for another Chernobyl or a Fuchishima type incident to occur affecting us here in the UK, Or to suffer our very own British nuclear accident as our nuclear plants grow ever older. This is not forgetting the dangers posed by the now developed long range nuclear weapons held by Iran and Syria, both of which I consider to be rogue states. Experiencing a nuclear event is almost impossible for us to contemplate for obvious reasons, as it would be the end of the world. But would it? We as a world have had hundreds of nuclear test explosions and we are still here, the world has not ended, life goes on does it not? The question is if you survived the initial effects of a nuclear explosion would you have the knowledge and the skills to survive the residual effects? That is where my Complete Nuclear Survival Guide comes in, as by keeping it with you in your bug-out-bag, you will not only know where to find it but if you bug-out, so along goes this valuable survival information although as you will read later, I actually recommend bugging-in. 2012 Tom Linden Survival all rights reserved. Simple theme. Powered by Blogger.